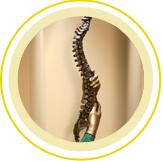 As a comprehensive, multidisciplinary center, we offer complete care of the spine, including both nonsurgical and surgical treatments. Our full-service office is designed to meet all of our patients’ needs conveniently in one place. Diagnostic tests, such as nerve studies and imaging studies, pain-relieving injections and physical therapy are all provided on-site at our office. We know that spinal problems can be overwhelming for patients. Our physicians are skilled specialists, but they’re also amazing listeners. They take time to talk with patients about their concerns, spend time answering questions and ensure that patients thoroughly understand their treatment plan and, if surgery is indicated, the procedure they will undergo. Our goal is to help patients – without surgery if possible – and we’re successful in doing so most of the time. 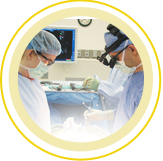 Only 10 percent of our patients typically undergo surgery. The remainder are helped through nonsurgical alternatives. Because our doctors have advanced specialty training, they often can help patients who have been unable to find effective treatment elsewhere. One of the most gratifying aspects of our work at Spine & Scoliosis Specialists is hearing patients tell us they are now pain-free as a result of their treatment.